The only way is… back? He now wears the team’s armband, but is the first to think of a move away from Urziceni. He’s Vasile Maftei, the versatile defender that still plays an important role in Razvan Lucescu’s plans with the national team, who is desperately trying to save his career, as the last season’s runners-up are sinking without trace. When the team manager left Unirea he promised Maftei that he’d be the first player transferred and Mihai Stoica proved to be a man of his word. Signed by Steaua Bucuresti, he did everything he could to make this happen: asked the owner to prepare the cash, convinced the coach that he needs such a player and even tried to discuss with the hard-core fans that the former captain of their arch-rivals Rapid will be giving 100% in training and on the pitch, maybe not for the red and blue colors, but at least for the money. 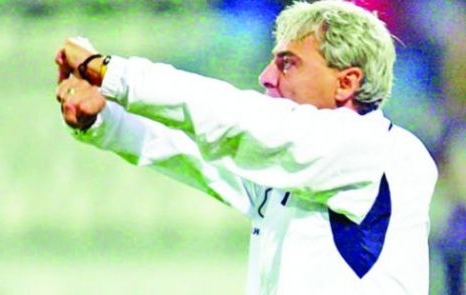 Stoica stumbled at the last and most challenging hurdle, in spite of his popularity with the fans, who cannot forget that this was a player that got so carried away when playing against Steaua that he loved the show it through large gestures and not very nice words. The final call came today, from the club’s owner – always desperate to regain the public’s support – who stated that a player cannot be transferred, if the fans give the “go-away” instead of the “go-ahead” signal. “We appologize for Sorin Cartu’s gesture to UEFA, to FC Basel, to our fans and everyone else who love football and sports, in general”. In spite of the formal backing of the coach which took place earlier today, as club president Iuliu Muresan tried to assure everybody that Cartu will lead the team in the next league match, the expected announcement came tonight and Cartu leaves after just a couple of unimpressive months in charge. He took over just before the first game versus FC Basel and now leaves after the second encounter with the Swiss side, forced by his inability to control himself and an incredible gesture, which counted more than his struggles to make the team look like a title contenter in Liga I and secure a place in Europa League. 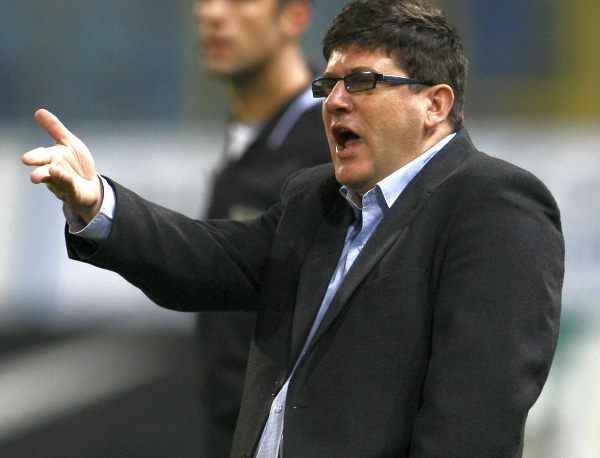 This incident doesn’t come as a surprise though, as the coach has a history of similar events, once trying to break the dugout’s glass with his head, when sitting on Dacia Mioveni’s bench, and, only days before the Basel episode, chasing an assistant referee down the tunnel, to punish him for some blatant mistakes which affected his team. Unbeaten in four games, Pandurii climb out of the relegation zone, thanks to the excellent work from new coach Petre Grigoras. This was a vital game for both clubs and there wasn’t much between two organized teams, until the first huge mistake from a poor ref. Unfortunately, things got worse, as he tried to make up for that error with another invented penalty, although there was a sense of justice in his action. Left with only 10 players on the pitch, after Pandurii equalized from the spot, Brasov failed to hold on to a point and are in the zone everyone had expected to see them, after they lost almost an entire team before the start of the season. Can’t open up the opposition’s defense? Then open your mind! 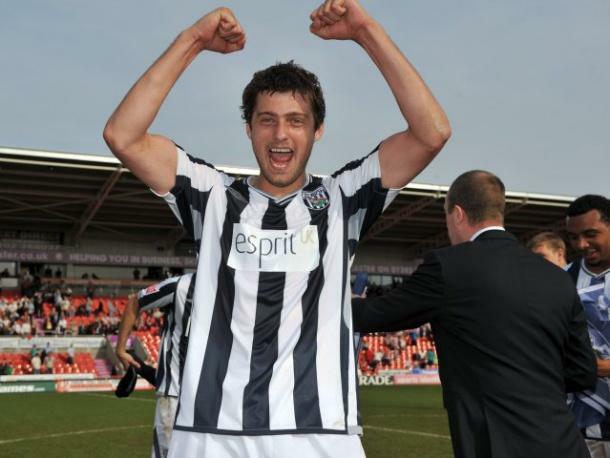 When Cristi Pustai decided to hang up his boots and grow a beer belly , he chose a path no other ex-footballer with money, cars and hot chicks on his mind would have dared to step foot on. He decided to teach maths in highschool and his return to the game he had abandoned after a rather modest career as a striker was very similar to the always sudden appearance of a teacher in class, after recess: he found everyone out of place, talking very loud, with some preoccupied to “study” in a couple of minutes what they should have prepared at home and the others playing the so-called mind games that, in the absence of a brain and a solid education, ends up in useless and grotesque abuse. It was a class of boys who once were very good in practice, but who are now terrible when they have to explain the theory. And you can see the results in a league that might look like a tight affair, with everyone prepared to defend their ground and the points at stake, but, in reality, it’s only a physical battle (too) often decided by a terrible mistake, not by some special individual or collective move. It’s Liga I, the competition that highlights Pustai’s intelligence and ability to think outside the box of how to get the ball inside the penalty box and in the net. Thanks to his work, Gaz Metan Medias is pushing for a place in Europe, in spite of some fierce competition, which often goes overboard, leading to some strange to terrible refereeing decisions, as well as the dreadful suspicions of a fixed match every once in a while. Timisoara moved as quickly as Tosaint Rickets had gone past its defense, when the Viola met MyPa, at the beginning of the season, and secured his signature at a moment when all the other Liga I clubs “work” in the press, negotiating all sorts of deals and swaps for unrealistic prices. The Canadian forward gets the nicest sign of appreciation from a club he could have hurried out of the European competitions in August, as he scored three goals in the two encouters that finished 5-4 on aggregate for FC Timisoara. Ricketts has left such a good impression that his new club ignorred his rather poor scoring record from Finland – 9 goals in the past two seasons – and offered him a three years long deal, with the option to extend it for another two. Before Italy-Romania, WBA’s centre-back threw a bone to the Romanian press: “You’re going to write a lot more about me in the near future”. Of course, speculation started and someone else tipped the journalists about a transfer to London, mentioning the “close friendship” between Ancelotti and Ioan Becali. Keep in mind that Ianis Zicu and Adrian Mutu moved to Inter because of Becali’s friendship with Massimo Moratti and if there will be a second Romanian player to sign for Real Madrid, after Hagi, it will happen only because the Becalis are in such good relations with The Special One-Nil. So, with all this solid info gathered in a professional manner, everyone thought of Chelsea, with Terry’s injury considered the second perfect reason for a move that nobody dared to think of last week. Today, we hear that the player’s agent flies to London to discuss the deal, but, in my opinion, this should only place Tamas further away from West Bromwich, yet not a centimeter closer to Chelsea. In fact, I believe that The Blues are just part of the agent’s strategy to find a better deal for his client himself and, if the defender is going to move to London, it would make sense to see him in either a more wealthy or more ambitious club than WBA. And, I guess that Fulham and West Ham are out, Chelsea’s the bait and Arsenal’s manager isn’t satisfied that Tamas only played in Ligue I – if he was born in France, maybe he had a chance. That leaves us with Tottenham, right?